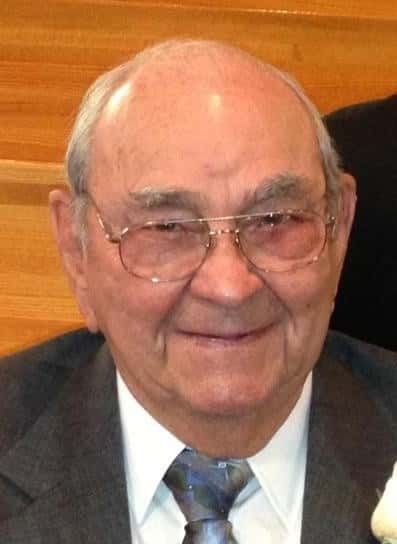 Robert W. “Bob” Lichtenberger, 90, of Fairfield passed away at 4:43AM on Saturday February 9th at Fairfield Memorial Hospital Skilled Care Unit. He had been Self-Employed for most of his life as well as a City Alderman in Ward 1 for several years, a Mason, a member of the Golden Gate Methodist Church and was very active throughout the Community. Bob was born on April 5th, 1928 in Springerton to G. A. and Anna (Plock) Lichtenberger. He married Wilma Hooper on November 25, 1949. Bob is survived by his Wife-Wilma Lichtenberger of Fairfield; Daughter-Shirley Miller of Fairfield; Sons- Stephen Wayne (Sherri) Lichtenberger of Jerseyville, Robert Brian (Kim) Lichtenberger of Wheeling, and Cory (Judy) Lichtenberger of Barrington; 10 Grandchildren, 11 Great-Grandchildren, and several Nieces and Nephews also survive. Bob was preceded in death by his parents, Brother- Hayward Lichtenberger, and Sisters- Bertha Blackford, Mildred Gates, Eileen Springer, Ruby Bowers, and Bernita Lichtenberger. Funeral Services will be at 1PM Wednesday February 13th at Johnson and Vaughn Funeral Home with burial in Maple Hill Cemetery. Visitation will be from 11AM until the time of Service at the Funeral Home. Memorials may be made to the Golden Gate Methodist Church or Fairfield Memorial Hospital Skilled Care Unit and will be accepted at the Johnson and Vaughn Funeral home which is in charge of all the arrangements.